Andy is an Investment Advisor Representative of Commonwealth Financial Network, member FINRA/SIPC and a Registered Investment Advisor. 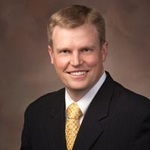 Andy has been with Merrill Financial Associates since 1999 when he graduated from Brigham Young University with a degree in Economics. As a financial advisor Andy consults with clients, constructs portfolios, develops investment models, and oversees the investment process offered by Merrill Financial. Andy has his Series 7, 63, 65 and 24 registrations along with being licensed in Life and Health Insurance. Andy enjoys interacting with the firm’s clients and helping them reach their goals. He is originally from Northern Idaho but loves Utah Valley and currently lives in Provo. He and his wife have five children. In his free time, Andy enjoys spending time with his family, exploring the outdoors boating, skiing, golfing, and hiking, and cheering on his alma mater, the BYU Cougars.